Oh happy glorious Friday you are here! Although it won't be the same now that I do have to go back to work on Mondays ( that holiday break was awesome am I right ?! ) but I'm still excited to get things accomplished and hopefully prepare for a possible chance of SNOW here in Atlanta on Saturday! I kept asking Lily about it in hopes that she would remember her first snow fall when we used to live in Chicago a few years ago but I know she was too little. Fingers crossed we have a little white flakes coming our way! I also love sharing with you some of my favorites of the week! As always feel free to share what you're enjoying in the comment below! 1. Baby Kicks- I joke with all my friends and family that this active little boy is training to be a ninja warrior in my stomach. The last week has been full on kicks, punches and lots of stretching and moving around either right after eating lunch or when I finally lay down after a long day of work! I swear he was doing flips the other night! 17 weeks to go! 2. 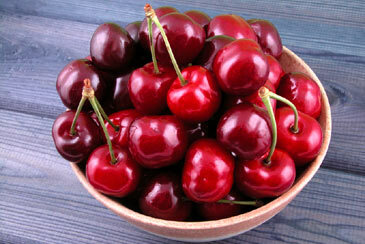 Cherries - Funny thing with being pregnant are the cravings. Normally I'm really not a big cherry lover but the other day I had a smoothie and added a few handfuls of ripe red cherries and am hooked! I really shocked myself since it's never anything I'm wanting if I'm not pregnant! 3. Freaking Cold Sweatshirt - Usually I'm always super hot with this little man in my stomach but lately I've been freezing! Legit- freezing ! A friend of mine shared this sweatshirt with me and I knew I needed to get it asap! I mean..we all have that friend right? 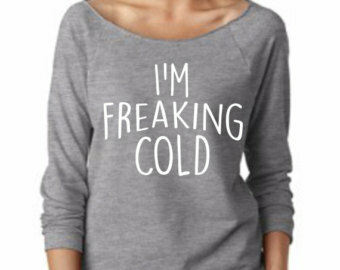 Grab yours here and save 10% using code CAITLINDEC . You're welcome. 4. New Year. New Meaning. Someone mentioned to me that their families are going to write down one word each week or something fun that happened and place it in a jar. At the end of the year, they're going to open the jar and read all the memorable moments that happens. I thought that was SUCH a great idea that I may start to do it too! 5. Snow Day- Okay so it's not really a snow day here in Atlanta but we're going to be hit with some great winter blizzard around the noon/mid afternoon time today so I'm anxious to get out early, get home safe with my toddler and husband and buckle down for the weekend! I'm thinking a few fun projects are in order which I know Zach will be so excited to do! 6. 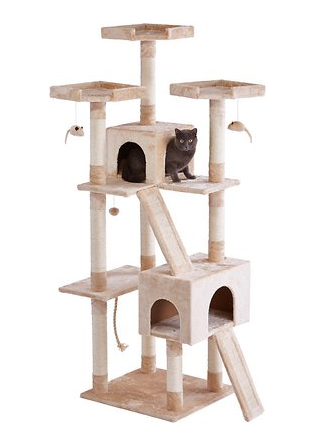 Cat Condo -If you're friends with me on Snapchat ( @CaitW22) you saw that we bought our 2 cats a late Christmas gift but one they desperately need; a cat condo! It's about 6 feet tall and if I do say so myself, pretty awesome. Lily thinks it's a jungle gym for her.. umm sorry kid. You got some lucky kitties!!! Love the condo! Cherries in smoothies are so good!